In this article, we will show you how to stay always online on GB WhatsApp. As this feature is not available in the official version of the WhatsApp, you need to download and install the modded version of the WhatsApp to access this feature. One of the best-modded version of the WhatsApp is GB WhatsApp. 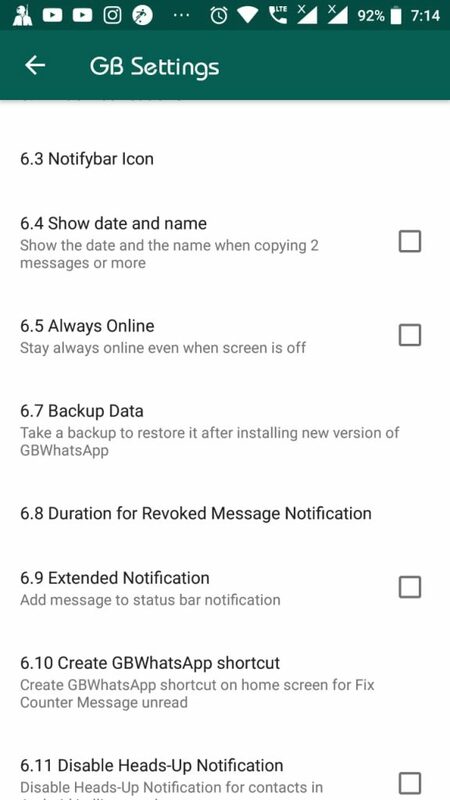 GB WhatsApp offers new varieties of extra features and tweaks by which you can even customize and add extra protection to your WhatsApp Messenger. Always online feature is a modified feature of WhatsApp by which your friends can see you online even if you are not online. This is a useful feature in the case when you don’t want to ignore someone by going offline. These are the top most features of GB WhatsApp in the Android devices. Before downloading and installing the GB WhatsApp in your Android devices, read the features carefully about what the WhatsApp offers for your Android device. Also checkout how to create fake last seen on GBWhatsApp. Ability to customize GB WhatsApp. Add extra privacy by blocking WhatsApp calls using GB WhatsApp. Send any video clip more than 15 MB of size. Ability to send more than 30 photos at a time in GB WhatsApp. Ability to hide WhatsApp second tick in chats. WhatsApp status character is increased to 250 which is not available in the official version of the WhatsApp. Use this following guide to show always online on GB WhatsApp. This feature will enable you to stay online even if you are offline on GB WhatsApp. Once the GB WhatsApp launches, tap on the three vertical dots to open the GB WhatsApp menu. From the drop-down menu select GB settings. Now on the GB settings window scroll down to locate the other MOD’s. 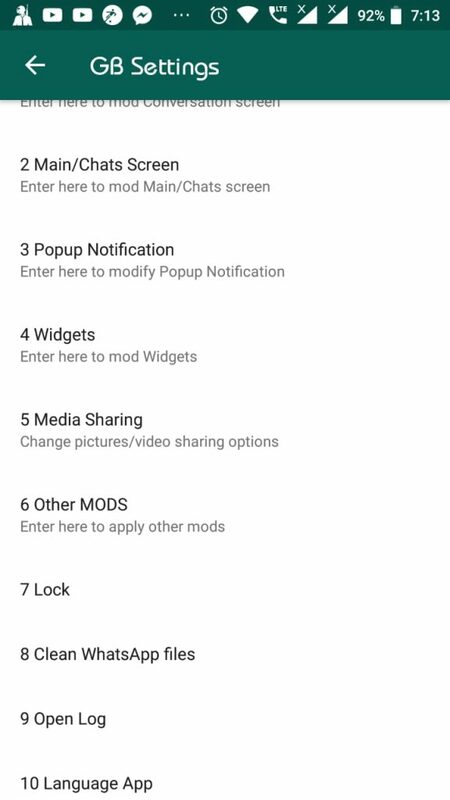 Tap on the other MOD’s option to open the extra MOD’s feature window. Now scroll down on the window to locate the always online option and check the box beside it. 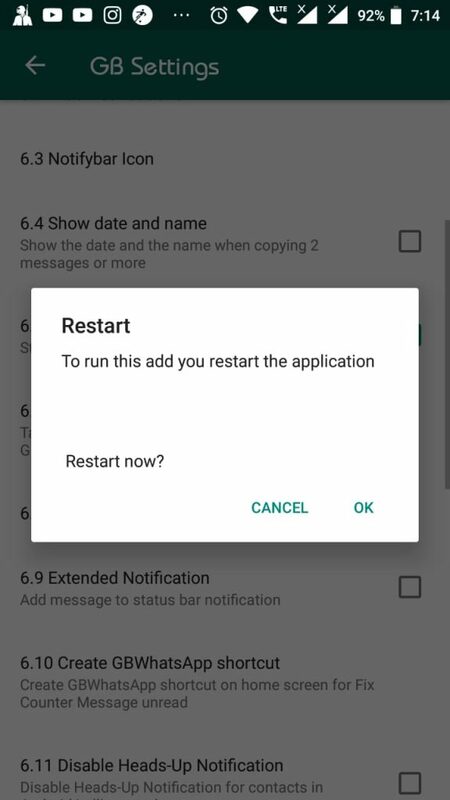 After you check the box beside the always online option it will ask you to restart the GB WhatsApp. Allow the GB WhatsApp to restart by typing on the ok button. 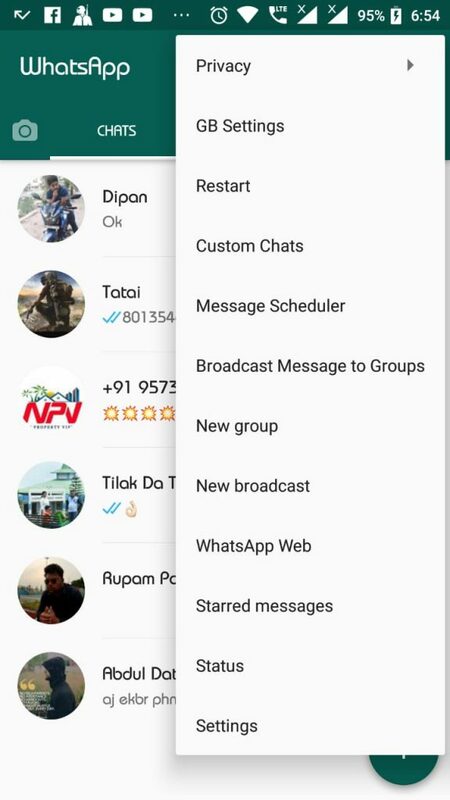 once the GB WhatsApp restart the always online feature is enabled, and even if you are offline in GB WhatsApp it will always show that you are online. We have researched on the internet about enabling show always online feature in GB WhatsApp. We have also provided the step by step guide to enable and disable show always an online option in the GB WhatsApp. Share this article with other GB WhatsApp users so that they can also use this wonderful feature, activating this feature you can always stay online on GB WhatsApp even if you are offline.